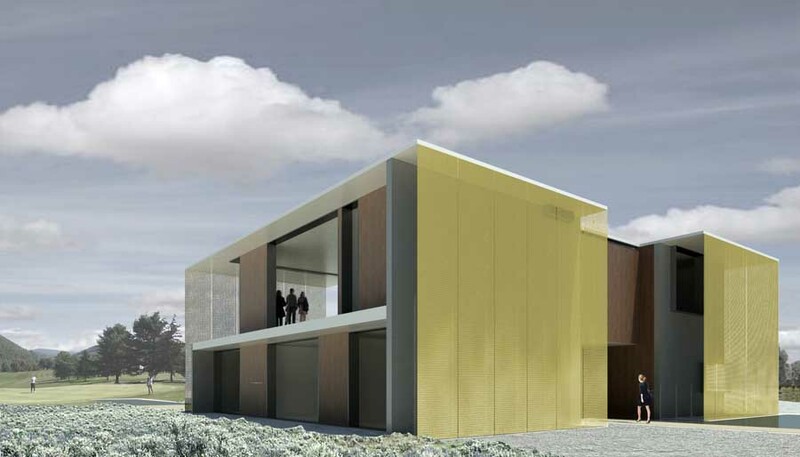 The context for this site consists of larger homes on one-acre lots. 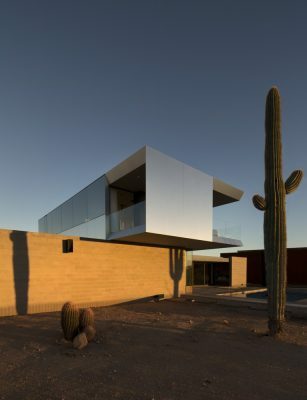 Aesthetically, the neighboring houses’ architectural language is more often than not, associated with speculative developer trends and styles, rather than an integrated understanding of the site, the views, and other opportunities. 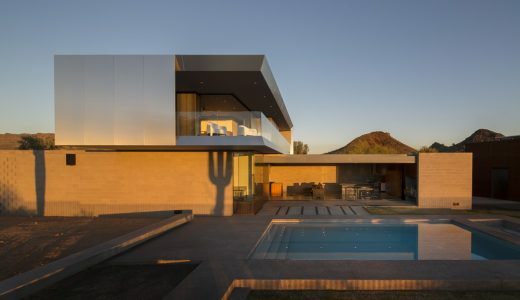 As a result, the project required a strategy which would edit out the immediate context of this neighborhood while focusing on distant views of the McDowell Mountains to the north and the valley to the south and southwest. 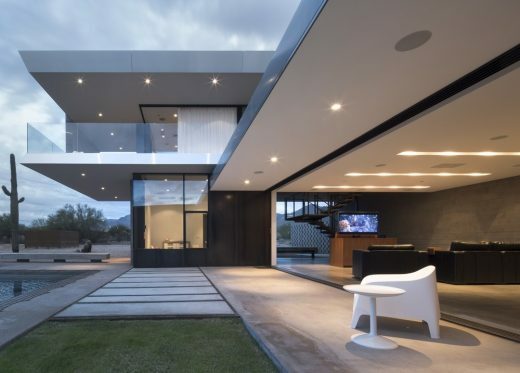 The project also sought to create a protected courtyard space for the backyard and pool area as an immediate focus for the lower level of the house in contrast to the second level taking advantage of the more distant views. 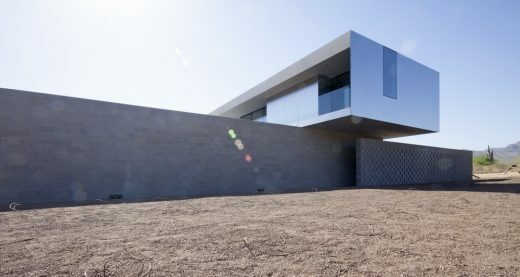 The house presents itself as a series of sand-blasted 12-8-16 masonry walls upon which a stainless steel and glass clad volume floats. 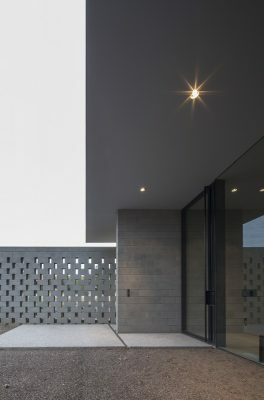 The masonry walls are solid with minimal openings in order to edit out the existing context of the neighborhood while also ensuring privacy. 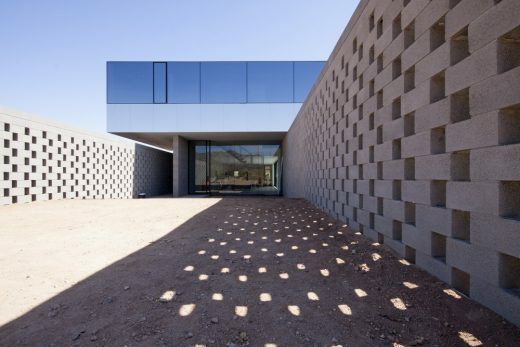 In specific locations associated with the entry courtyard and the outdoor space for a guest bedroom, the masonry gradually opens up its coursing to allow for light and air. 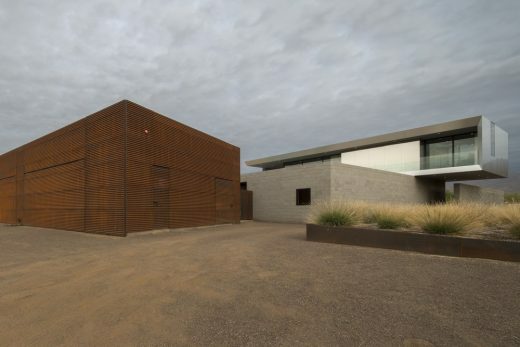 A separate weathering steel plate clad volume to the south houses the garage while also providing privacy to the pool area and backyard from a neighboring house. 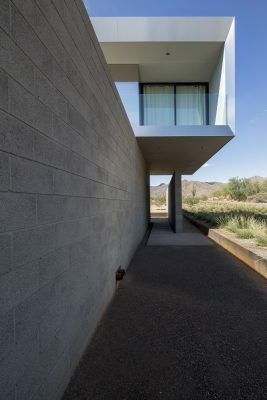 Entering into the residence takes one along a monolithic field of desert grasses and through a portal created by two masonry walls and the volume above. 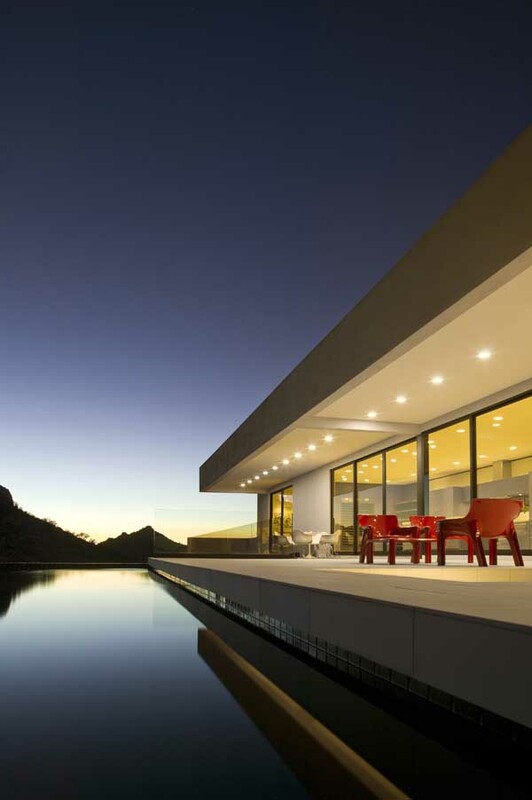 One is ushered into a garden space while being focused on the views north of the McDowell Mountains. 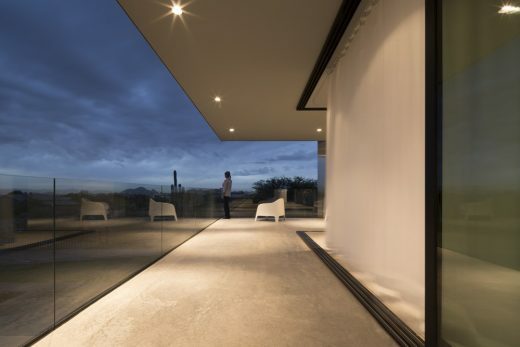 This garden space offers an area of repose in order to mentally dispose of the immediate context of the neighborhood before entering the house. 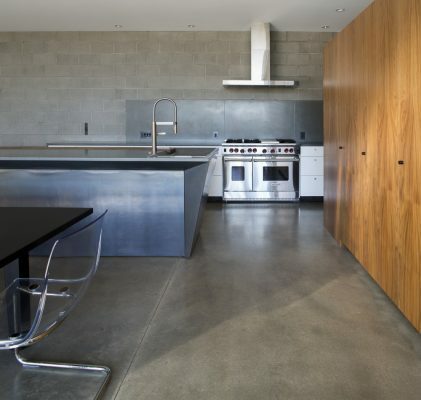 Upon entering, the main living space is configured as one uninterrupted volume of space. 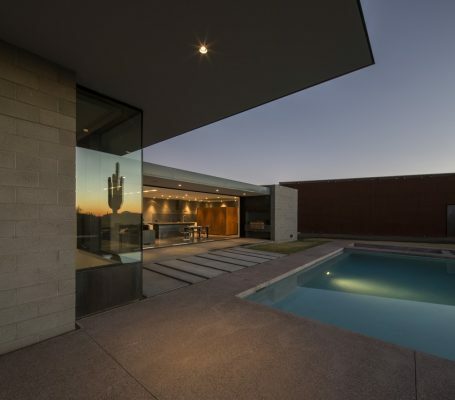 These public spaces open immediately to the pool and backyard living areas by means of sliding glass panels that fully disappear. 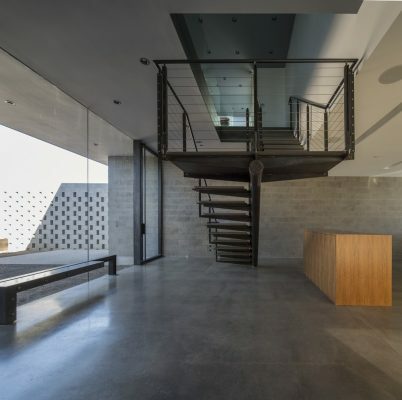 The entry garden is maintained as part of the living space’s experience by the stair being as visibly open as possible while maintaining definition to the entry area. 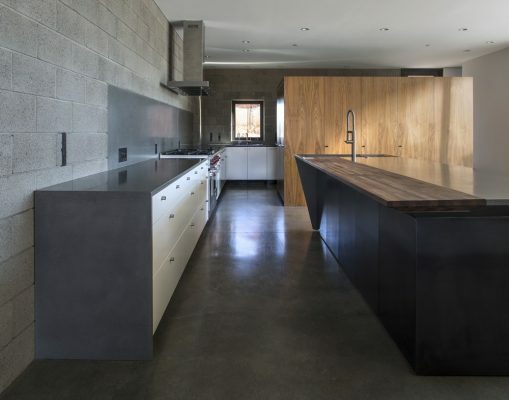 An adjacent series of spaces in between two masonry walls house two guest bedrooms each having their own distinctive experiences of the site. 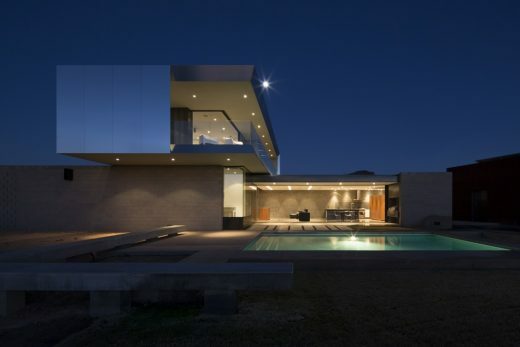 One is focused on the immediate backyard area while the other is focused on the more distant view to the north. One larger bathroom space separates these two bedrooms while the water closet, walk in shower and bath configuration also maintains a focused view to the north. The master suite and office are located in the volume above. 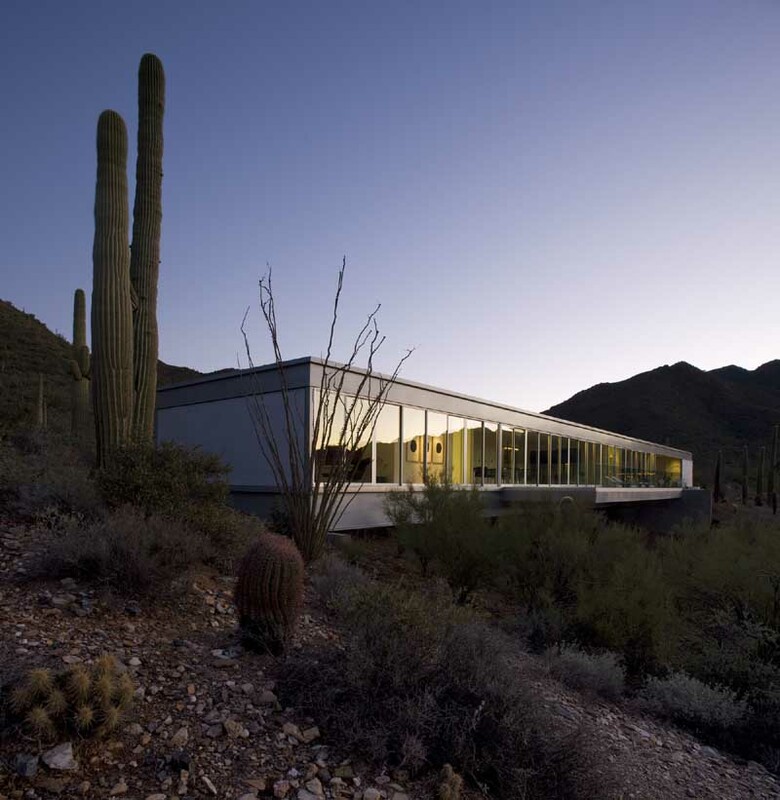 A panoramic view of the McDowell Mountains to the north is offered in each of these second level spaces. 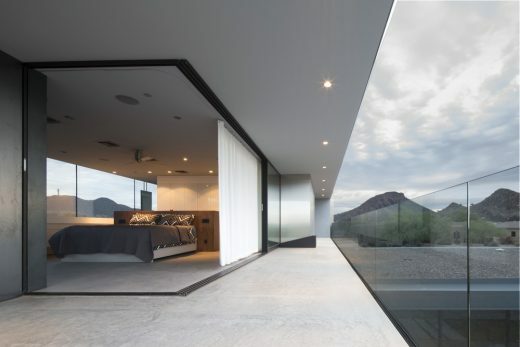 The master bedroom, dressing, and bathroom spaces are configured as one large suite in order to provide an open relationship while emphasizing the panoramic quality of the view to the north. 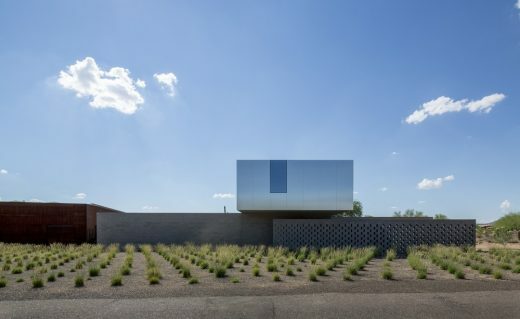 The roof overhangs located on the south and west sides mitigate the solar heat gain while also providing a patio space overlooking the courtyard space. 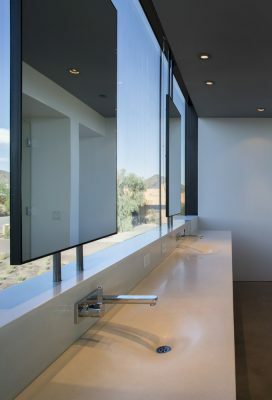 The upstairs volume is clad in 11 gage 4’ wide stainless steel plate cut to length directly from the coil, and 1” insulated glass panels with a silver colored high performance thermal coating. 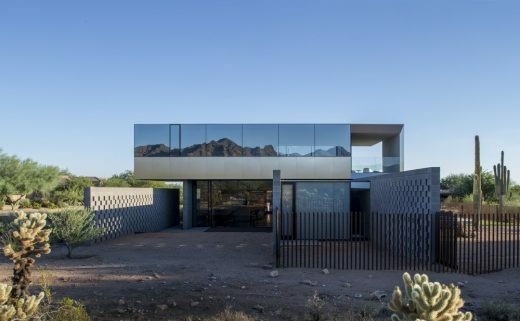 The strategy of the cladding for this volume was to create an envelope that would best absorb the environment and allow for a varying perception of color and finish throughout the day.